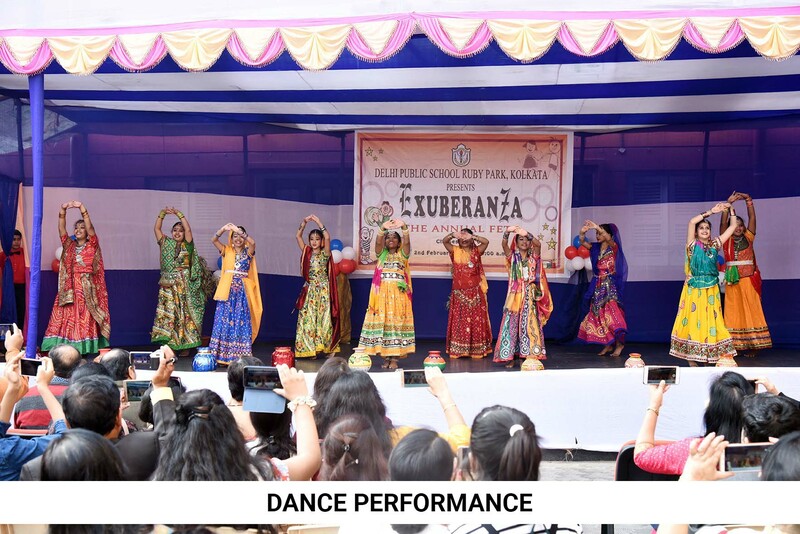 On 2nd February, 2019 Delhi Public School Ruby Park organized its grand annual Junior Fete, Exuberanza, with much pomp and fervor. 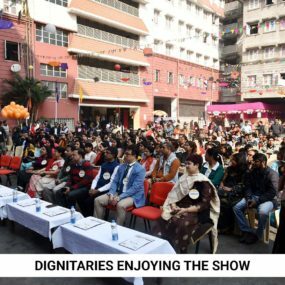 It was an excellent show where the teachers and students of classes 1 to 5 came together and worked tirelessly to put up fun stalls and game corners where both the parents and the students enjoyed with utmost excitement. 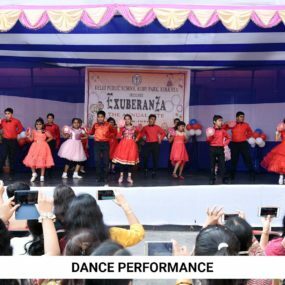 The day started with an inaugural programme where the school choir sang a medley of melodious songs and our little ones danced to the tunes of some exhilarating songs. 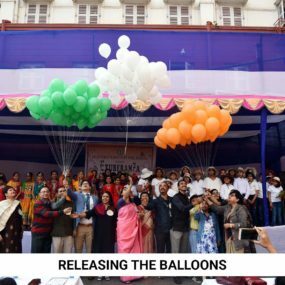 The mega event commenced with the releasing of balloons. 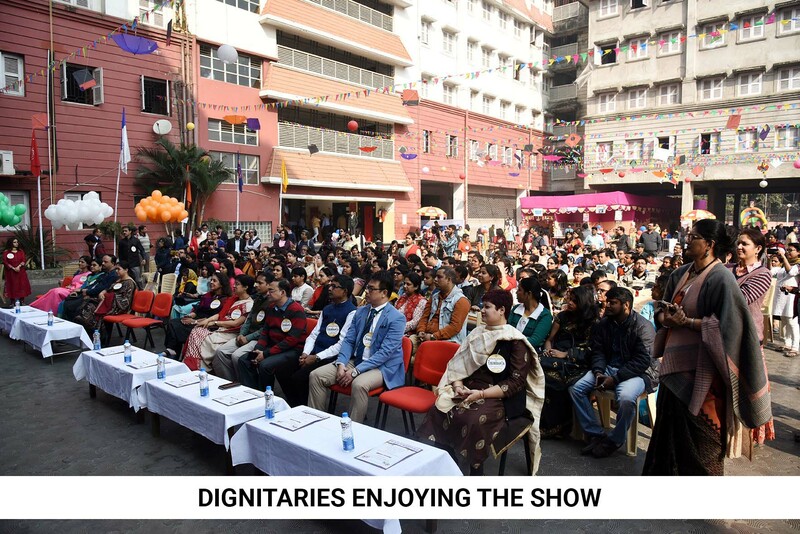 The teachers and students had put up various colourful and fun stalls. Other than the game stalls the students participated in various competitions like the Party Cap Decorating Competition for Class 2, Mask Making Competition for Class 3, Collage Making Competition for Class 4 and Best Out Of waste for Class 5 that were conducted by teachers in different slots throughout the day. 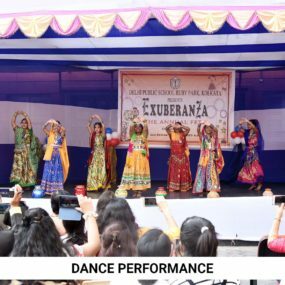 There were different competitions such as No Fire Cookery, Photo Frame Making, Flower Arrangement and Rangoli Making for the kids along with their Grandparents. Children enjoyed the Magic shows which were again held in three separate slots throughout the day. Food stalls with different delicacies and separate game stalls by the Eco Club members were set up. There were even 1 minute games such as Solve the Riddles, Mind Games etc. for parents and elders. The senior students had taken the opportunity to install their own tattoo corner. There were activities such as Water Boating, Mickey Mouse Bouncy and Thermocol Pool etc. outside. To capture all the fun and frolic both the parents and the children clicked pictures at the selfie corner. 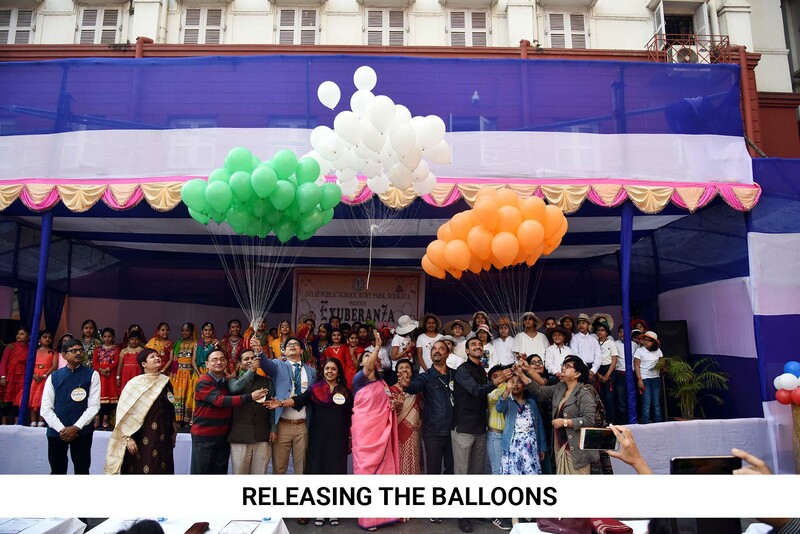 The underprivileged children from Makaltala School were invited to spend a wonderful day enjoying and engaging themselves in games and activities. 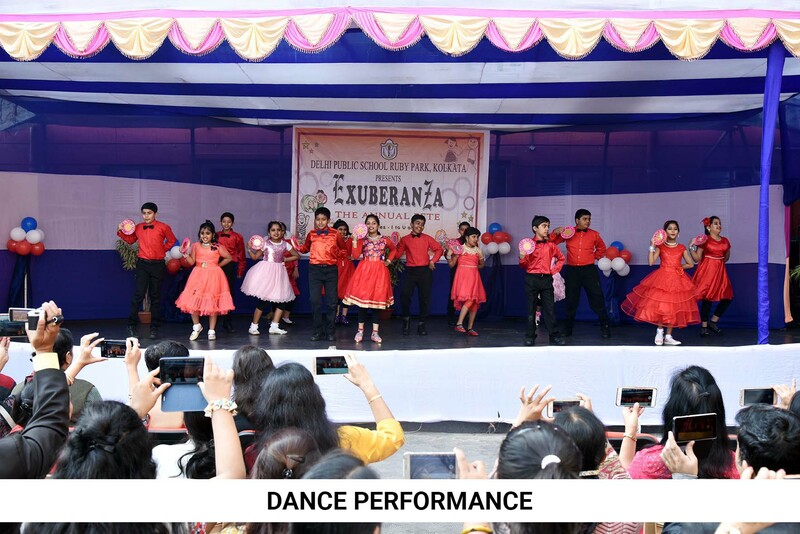 Overall the entire event was a euphoric and jubilant celebration of creative and competitive spirits and thus living up to its name, being the most exuberant celebration of the year which made the children and parents relish the day in high spirits and elation.